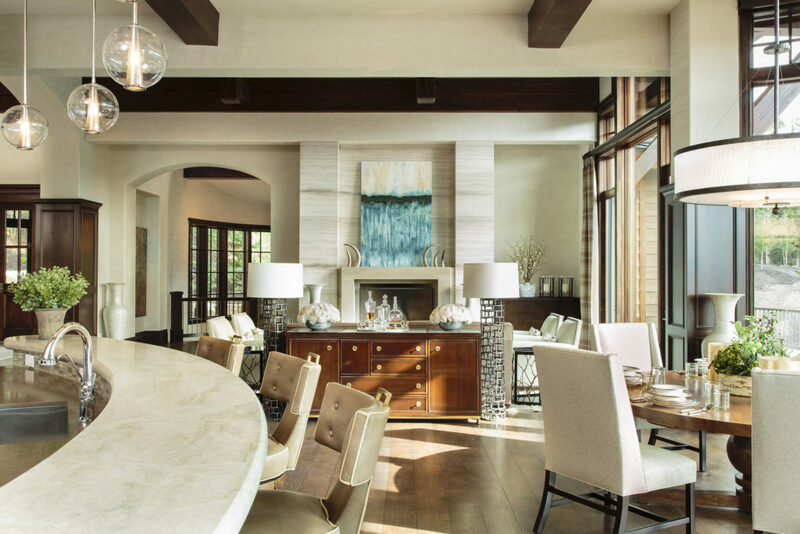 After months of renovations on the expansive 18,000 square foot property, we knew that for these client’s and their two college age sons comfort was key; so it was only fitting that we centered our design around a variety of textures that would create a sense of warmth and coziness to each of the rooms in their spacious home. 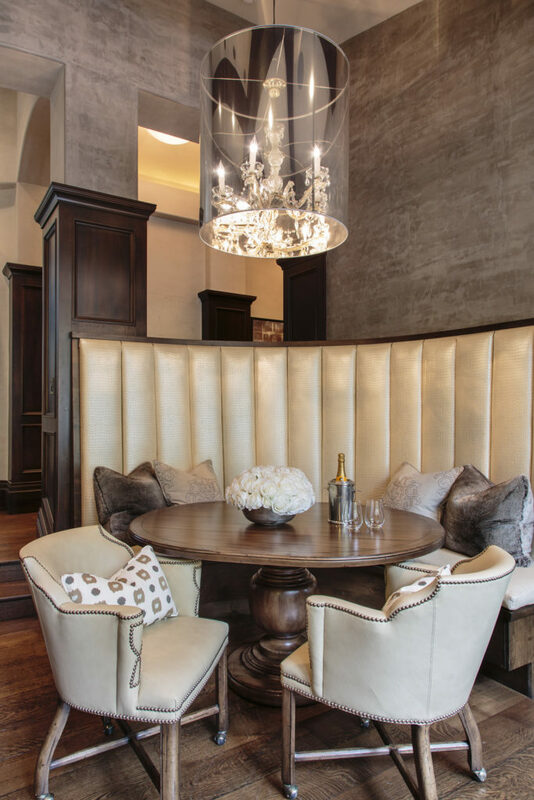 Soft velvets and plush cashmeres were paired with rich faux furs and distressed stamped leather hides all set against a decidedly neutral color palette. 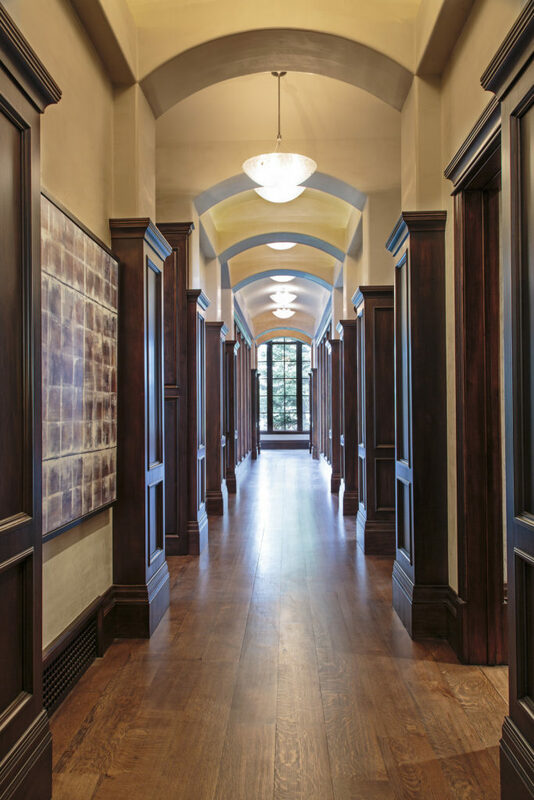 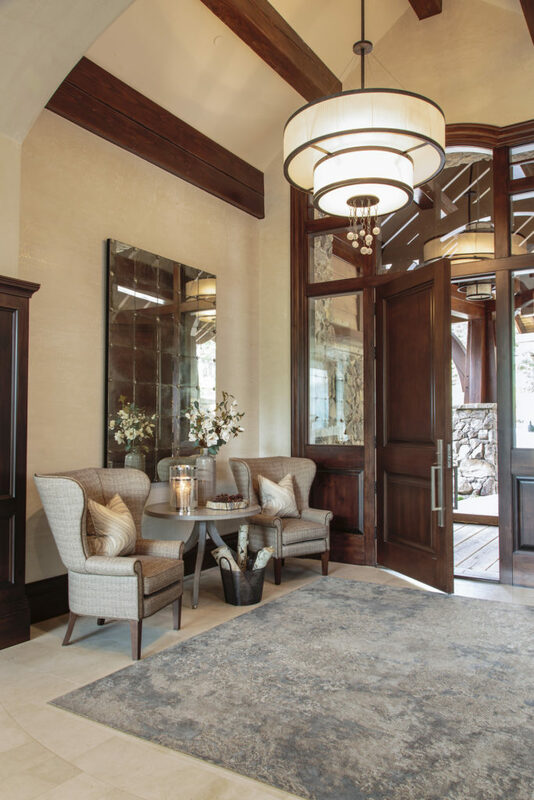 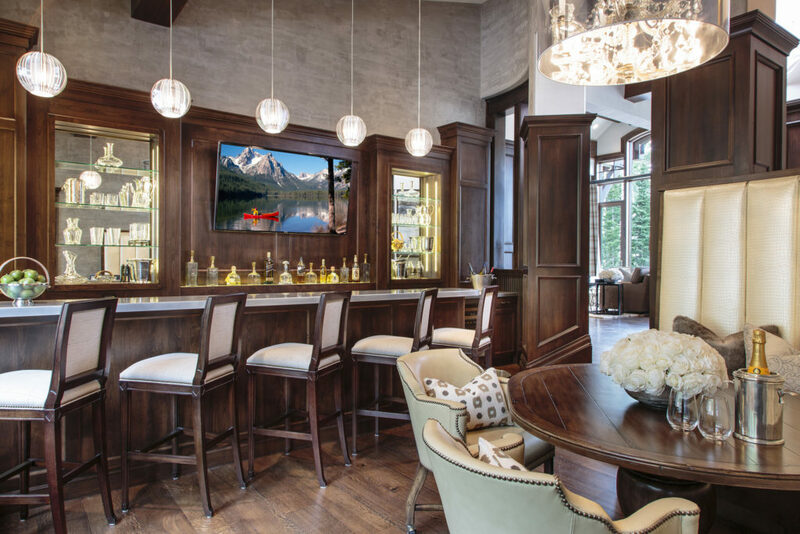 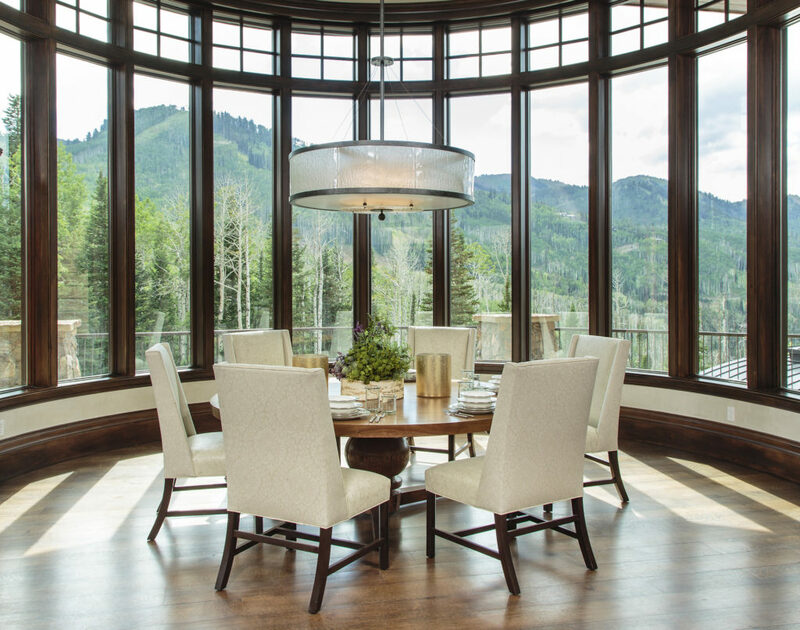 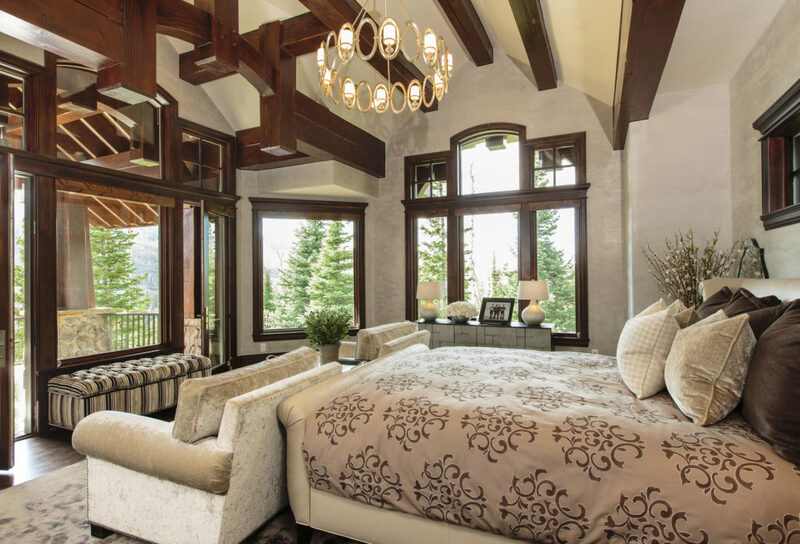 While the interior boasts traditional bones with the arched hallways and the dark mahogany wood paneling, the sleek unexpected silhouettes of the furnishings and the stylish lighting fixtures are anything but conventional. 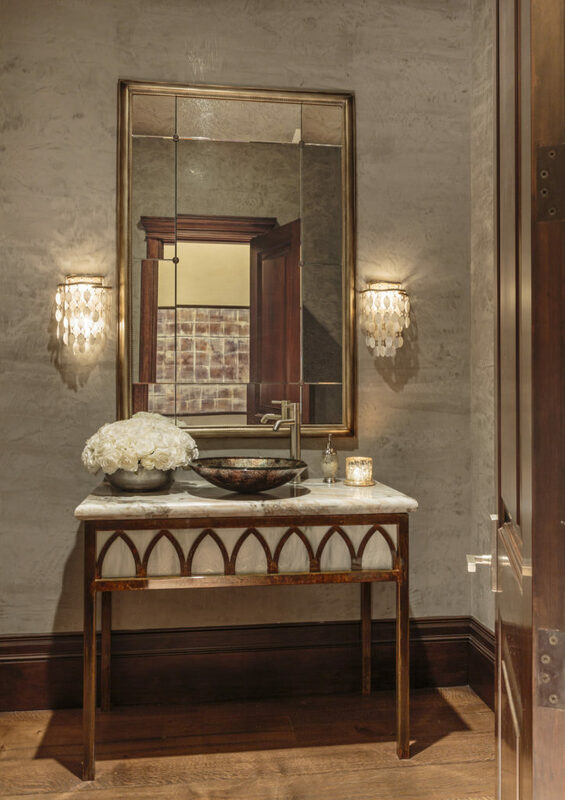 These elements along with a few handcrafted designs and an ever-growing collection of vintage pieces balance the striking combination of old and new. 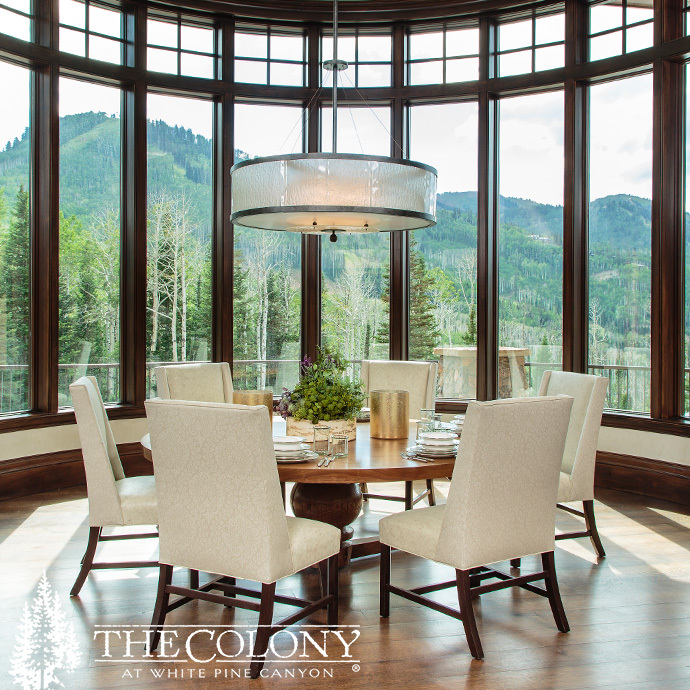 For our clients this became a home where they can gather with friends, enjoy the great outdoors, or just stay inside and soak up the comfort.